Maison Bologne was established in 1887 making it the oldest of the distilleries in Guadeloupe. The plantation covers a hundred or so hectares of the best terroir for cultivating sugar cane with an absolutely unique potential for producing rum. The Bologne distillery is situated on a unique terroir between the sea and the mountains. The meeting of these two great elements infuses the land with its unusual nature, producing cane for a potent rum which is known for the depth and exuberant aroma. The estate is situated at the side of a volcano and rolls down a gentle slope towards the Caribbean sea. This majestic terroir saturated by volcanic sediment is exceptionally rich, giving the sugar cane a full bodied flavour. Aside from the volcanic soil, La Soufrière also provides Maison Bologne with a pure water source running directly from the volcano. The sea air adds a very specific taste to the rum, exclusive to Maison Bologne. At Maison Bologne the exceptional blend of extremely rich soil and a varied choice of different sugar canes give the rum a unique personality. In fact they have chosen only to plant the best quality canes, which have the greatest potential to convey the traditional aromas of Guadeloupean rum. One of the varieties is black cane. Bologne is the only distillery in Guadeloupe that continues to cultivate black cane. It has been cast aside by distillers because of its low yield, however Bologne continues to grow it for its excellent aromatic potential: it produces a ‘concentrated’ juice, a veritable essence which plays its part in every drop of Maison Bologne. 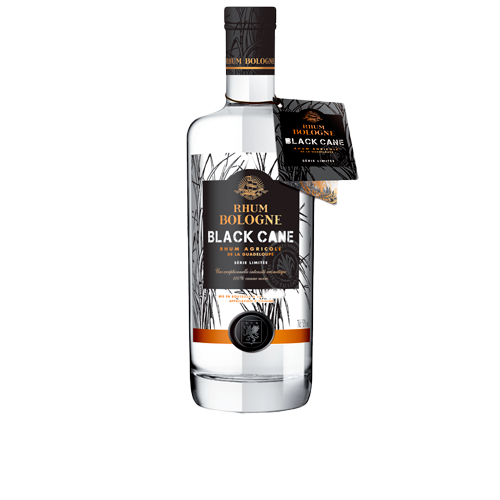 Maison Bologne has created the limited edition pure “Black Cane” rum , embodying the heart and soul of the distillery. It is during the crucial distillation process that the secrets of a master distiller come into play. Maison Bologne uses a very specific distillation style, aspiring to capture all of the aromas: Bologne is one of the last distilleries in Guadeloupe using a copper column still, which reconstitutes the aromatic palette of the sugar cane the most completely. One of the fundamental characteristics of Bologne rums is their remarkable suitability for ageing. 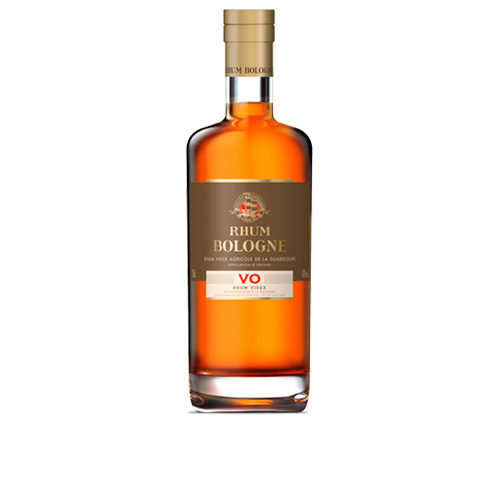 These rums have been cultivated with patience and reveal every millilitre of their worth over the course of time. It is a reflection on the management of the plantation, ensuring that the soil produces potent rums allowing each vintage to age well. Hopefully future generations will benefit from the richness and diversity of this heritage. Powerful, smooth, always elegant and distinguished, Bologne rum ages beautifully expressing the body of the terroir and the soil from which it is made ever more complex and subtle. It has the unique capacity to taste exquisite at any age and remains in perpetual defiance of the passing of time.